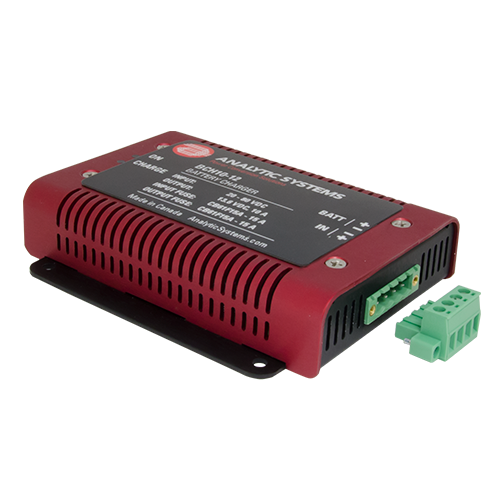 The model BCD1015 DC Battery Charger charges 12V, 24V, or 48V battery banks (1 or 2 banks) from a 24, 36, 48 or 72 volt DC power source. The reliable Current Mode switching design offers power and reliability in a compact package. The low ripple charging current and standard equalize cycle greatly increases the lifetime of expensive battery systems. Extra input and output filtering reduce EMI to extremely low levels. 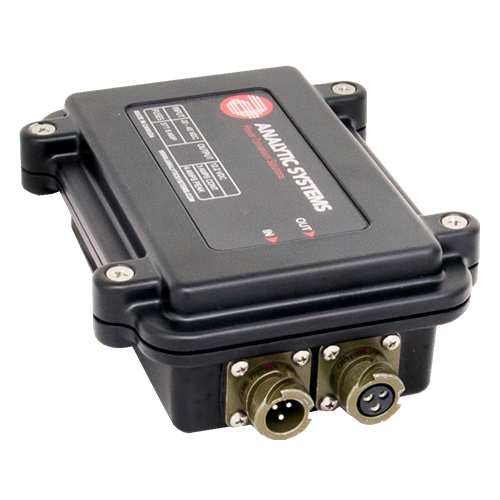 Reliability features include an input fuse, thermal shutdown, current limiting, reverse battery hookup protection and output short circuit protection with automatic recovery. 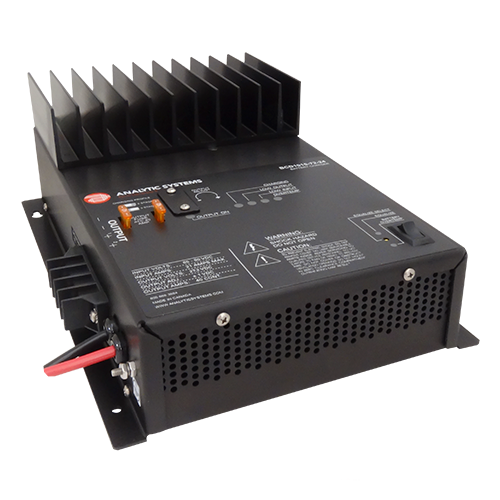 The output voltage is easily adjusted 1.0 volts above or below the standard output voltage to accommodate special charging requirements. 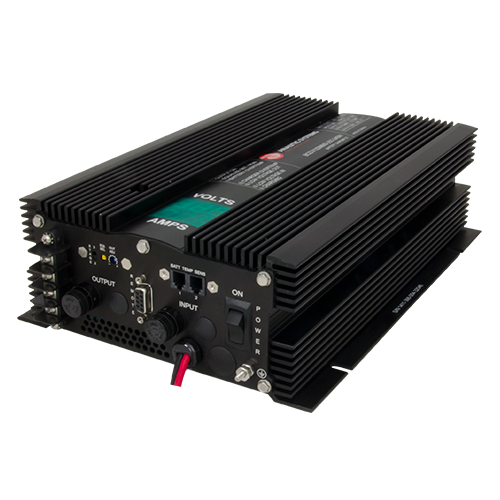 Optional features include a Digital Volt/Ammeter, Remote Control Panel, and 19” or 23″ Rack Mount configurations. 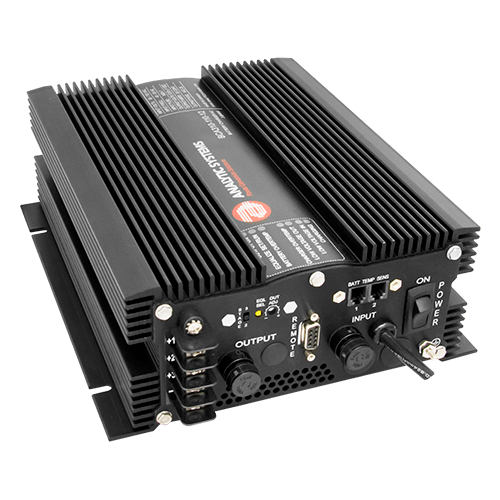 We are confident that you will get many years of reliable service from this DC Battery Charger. If the above links are not connected, the file is being updated, please contact sales for more information.